If you want to pay too much for an average service then look no where else. I wouldnt mind paying the amount these guys charge if they actually did whats in their name. Its ironic that they name themselves "Detailz" and rush everything that they do. Theyve done it to two of my vehicles now, i thought id give them one more shot after they rushed the first one thinking it might have been a busy time for them at the start of summer but now Ive realize that this is how they operate. Im sure there are tons of places in surrey that charge less for a rushed job so just go there instead of paying more for the same quality. Worst experience at an auto detailing shop ever!!! DO NOT BELIEVE their site, 100% Clean 100% Guaranteed - NOT TRUE AT ALL. They didnt even clean the roof of my car or the trunk, and said it wasnt included in the price. I had to pay an extra $10 for them to clean the outside of my trunk. It was still dirty, I was completely unsatisfied. I even told them that it was still dirty, and they said I can complain but there is nothing that they will do. COMPLETE WASTE OF MONEY AND TIME. DO NOT GO HERE IF YOU WANT TERRIBLE SERVICE AND POOR DETAILING. Very disappointing for the cost. Left my vehicle for an inside and outside detailing. I picked up my vehicle at the end of the day, they did a rush job of everything. I was told to leave the mats out to dry. I took them home and they literally had dirt and water coming out of all of them. When my vehicle and mats dried, (I left it in the garage) it had water marks everywhere, the mats were basically hosed down, dead leaves dried onto them. The carpets were an afterthought. I would not recommend. I drop my Volvo Aug 16, 2017. Its to clean interior beige seats . The Guy -Joe- told me from the beginning that they will do their best but the condition is not the best to work with. They did a good job. However, the finishing was not very good due to the color and original conditions. So, without complain at all, Joe told me that I can go again to do after the fabric get dry. I drop it next day, They did good with amazing finishing. I I highly recommend it. Very bad cleaning and customer service. After cleaning was done I showed the guy all the spots left on the inside and outside not done properly and still left it like that. I asked him third time and he ignored and walked away. Only mistake I did was paid them in advance. Its wasnt any base package. I got the platinum package and still all me door hinges rims cup holder both centre console and glove box were not cleaned like at all. Honorable in as much as my groupon coupon was fully honored having had to book a time way outside the expiry date. Great group of workers. Courteous and hardworking. All was done as advertised and I was very pleased with the job both inside and outside. Never had my car detailed any better ever. I have an SUV and use it for a lot of things so it needed work and it got it. Thanks to everyone for a job very well done. Super bad customer service. I called before I came in to make sure I arrived in enough time before they closed and even though I got there well before they closed they still refused to take my car. Very rude. When I tried talking to Joe the manager about this he got defensive. Never going back. Job they done was not up to the mark. Carpet half cleaned. Mat they didnt cleaned properly. Behind back seat of SUV they never done the vacum .And forget about shampoo.All they have done in front . Overall I am not satsified with their work. Not recomended for SUV. It is a wastage of money. went there today with my Jeep that was in need of a good wash, paid the gold package price of $30.00 not going back there again missed spots on car and my kid could do a better vacuuming job, go somewhere else or do it your self worst of it was I tipped them before looking at the car. High price, hopeless service. Doesnt even look like my car was vacuumed. Packages just sounds nice. Got platinum package but doesnt even look like anything was done. Never coming back. When showed one of the workers of how the vacuum was done, he said we dont have time for that. They did a fabulous job. They were very thorough... The guys are very professional and the car looked good as new afterwards. I will definitely be back and their prices are reasonable. My experience here has been great!! Friendly informative staff and the manager Amir has treated me like gold. All that is an added bonus to the fantastic work theyve done on my cars. Took my car in for interior and exterior detailing, well done. Service was great! 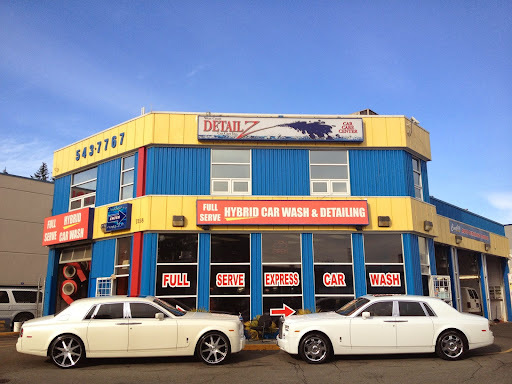 Where I go to have my car cleaned, they are ok but not extremely detailed. Been here a few times and will definitely continue to go back, great work! Nice. Decent price. Decent customer service.